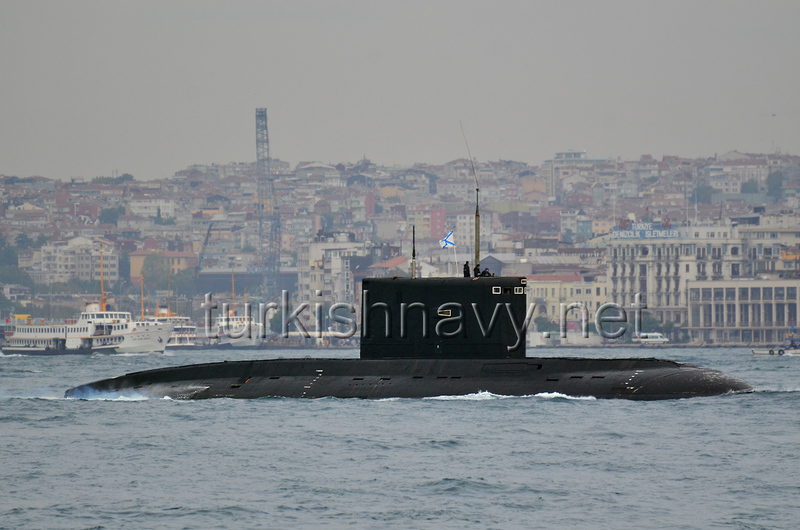 Russian submarine Alrosa passing through Bosphorus on 19 September 2012. According to Ukinform, the Russian Black Sea Fleet will receive a new submarine in July 2014. The new unit, aptly named as Novorossiysk is a Kilo/Varshavyanka (Project 636) class submarine. She will join a Kilo/Varshavyanka (Project 877V) class submarine Alrosa and Tango (Project 641B) class submarine St. George already serving in the Black Sea. The submarine Alrosa suffered a fire in November 2011 and she received a lengthily overhaul in Kronshtadt in 2012. The operational readiness of St. George is very dubious due to her old age.